A native of Grand Bahama, historian and educational consultant Dr. 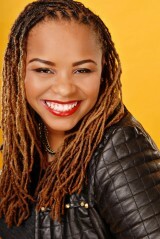 Crystal A. deGregory is an alumna of Fisk University. She received master’s and doctoral degrees in history from Vanderbilt University, and holds a Master of Education in curriculum and instruction from Tennessee State University. An advocate for Historically Black Colleges and Universities (HBCUs), in addition to serving as the founder and executive editor of HBCUSTORY, Inc., she is the convenor of the HBCUSTORY Symposium, which is slated for October 24-25, 2014 in Washington, D.C., in partnership with the Association of Public Land-grant Universities (ALPU). A regular contributor the HBCU Digest, her advocacy work includes serving as one of four doctoral-holding African-American female hosts of Black Docs Radio. Dr. deGregory also serves on the board of Historic Nashville, Inc.; and she is a member of several professional and service groups including Delta Sigma Theta Sorority, Incorporated. Her many published works include editorship of Emancipation and the Fight for Freedom (2013), the sixth volume in the 12-part series Tennessee in the Civil War: The Best of the Tennessee Historical Quarterly, and the book chapter “The Relationships of Revolution: Martin Luther King, Jr., the Civil Rights Movement and Political Change in the Bahamas,” which was recently published in In an Inescapable Network of Mutuality: Martin Luther King, Jr. and the Globalization of an Ethical Ideal. Follow her on Twitter @HBCUstorian and connect with her online at http://www.CrystaldeGregory.com.